SBS engaged 2 major Australian agencies to conduct a TV buying media optimisation study. They analysed the impact of allocating 10% of TV budgets to SBS across a number of key buying demographics.  When 10% of a TV campaign budget was allocated to SBS, significant cost savings were delivered across a number of key demographics. Campaign reach and frequency objectives were achieved more efficiently, saving thousands of dollars. Because SBS delivers premium content in a low clutter environment, which attracts a high value audience that’s hard to reach on other networks. Contact your SBS media representative for more detail on how you can benefit from the SBS Premium Effect.